We know its not just us that like our beer. Other people like it too! So much in fact that we have won a number of awards over the years. As well as our award winning beer, our labels and the brewery itself are widely recognised too! Arran ID won a Bronze award in the Cask IPA (5.5 to 6.4%) Category. Arran ID won a Bronze Award in the Small Pack Premium Strong Beers category. Arran Dark won the Scottish Mild Beer Champion in the CAMRA awards 2016. Arran Guid Ale won a Bronze Award in the International Beer Challenge 2016. Arran Id won two stars, and Arran Sleeping Warrior won one star at the Great Taste of Britain Awards 2015. Arran Clyde Puffer Special Reserve won Bronze in the Bottled Speciality Beers category. Arran Milestone won one star at the Great Taste of Britain Awards 2014. 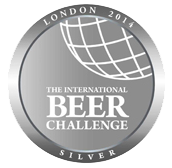 Arran Dark won Silver at the international beer challenge. Arran Dark won silver at the 2013 World Beer Awards. Arran Dark won not only Europes Best Dark Brown, but also won WORLDS BEST DARK BROWN at the World Beer Awards 2012. Arran Brewery won three awards at the International Beer Challenge 2012 in London, winning awards for our Arran Blonde, Arran Sunset and Arran Dark. Arran Brewery won four awards at SIBA’s Scotland Beer competition held at the Edinburgh Beer Festival. Arran Milestone won a Gold for Bottled Bitters over 5%, and a Bronze for Strong Bitters, and Arran Red Squirrel won a Bronze for Standard Mild Ales, and Arran Blonde won a Bronze for Champion Bottled Beers. Arran Blonde won an awards at the International Beer Challenge 2011 in London. Arran Blonde has won Europe’s best Grain Only Wheat Beer at the World Beer Awards 2010. Arran Blonde won 2 gold stars at the Great Taste of Britain Awards 2010, we also won one gold star each for Arran Milestone and Arran Dark. Arran Red Squirrel won a Bronze Award at the SIBA Regional Beer Competition 2010 . Arran Brewery won 2 awards at this years International Beer Challenge 2010, a Bronze award for Arran Red Squirrel, and a Silver award for Arran Blonde. Arran Red Squirrel won 2 gold stars at the Great Taste of Britain Awards 2009. Arran Milestone won Champion Bottle Conditioned Beer of Scotland 2008 at the 9th Ayrshire & Galloway Beer Festival, held in Troon 9th – 11th October 2008.